For ALL of you our dearest travellers and backpackers..
We wish you a very MERRY CHRISTMAS and a happy, full of joy and love NEW YEAR 2012! May your travels be always safe and give you loooads of positive energy and smile! Best of the Street Fest means: diverse styles, multicultural atmosphere and spirit of the street. On one stage you will hear the best Athenian street musicians, e.g. : African Heritage, Schoolboy, Bob Boyle, Bill Lee Erikos, Oldman and many others. Location: Spirit Bar (Miaouli 13, Psirri). Start: 21:30. Entrance: 1€! More details @ www.buskinginathens.com. 16 December: 18:00 Athens Symphonic Orchestra’ show, 20:00 Encardia Concert, 21:00 Katia Gonzalez Concert. 17 December: 10:00 Music of the World by Kosmos Radio 93.6, 12:00 Takim1, 13:30 European Taxim, 15:00 Eleni & Souzana Vougioukli, 16:30 Zoi Tiganouria, 18:00 Athens Hot Club, 19:30 Socrates Sinopoulos & Christos Tsiamoulis, 21:00 Christos Tsiamoulis & Kyriakos Goubentas in Greek traditional Christmas carols! 18 December: 10:00 Music of the World by Kosmos Radio 93.6, 10:30 Rodina – Choir of the Greek-Bulgarian Cultural Link, 12:00 Melios Balkana Mama, 13:30 Tangarto, 15:00 Adriatika, 16:30 Babuba, 18:00 Colpo Grosso, 19:30 Martha Mavroidi, 21:00 Andre Maia. Location: Klauthmonos Square. Entrance: FREE! Xmas Exhibition! Handmade jewellery / Clothing / Art / Design / Music.. everything in Christmas atmosphere. UCREATE is a kind of vehicle in which everyone is invited to participate and present his own ideas in unique and individual way. Acting as a moving exhibition hall it aims to present various art works, keeping the ‘do it yourself’ aesthetics and philosophy. The event is addressed to all creative people, no matter their age or culture. Just Do It Yourself! Location: TΩRA K44 (Konstantinopoleou 44, Gazi). Visiting hours: 16.00 – 00:00. Entrance: FREE. 22 December: 10:00 Jazz Music Selection by En Lefko 87.7, 12:00 Black JACK, 13:30 Trio Puente, 15:00 Soul Station, 16:30 Go Jam Group, 18:00 Blues Revenge & Dioni, 19:30 Vassilis Gouzios Quartet. 23 December: 10:00 Jazz Music Selections by En Lefko 87.7, 12:00 Atheneum Swinging Jazz, 13:30 Jazz Bastards, 15:00 Slice of Jazz, 16:30 Vette Michelle & SouLuv, 18:00 Jan Van de Angel, 21:00 Voyage Trio Jazz. 24 December: 10:00 Jazz Music Selections by En Lefko 87.7, 10:30 Egg lemon Sauce, 12:00 Atheneum Swinging Jazz, 13:30 Martha Moreleon, 15:00 Paradoxonia, 16:30 Biri Biri, 18:00 Happy Dog Project, 21:00 Municipality of Athens Big Band Concert with participation of Nastasia Beikof. 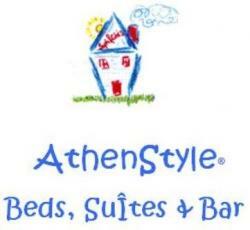 NEW YEAR’S EVE PARTY 2012 @ AthenStyle Rooftop Bar!